Valentine’s Day is usually about romantic love. Candlelit dinners. Bunches of red roses. Boxes of expensive chocolate. Well, it is in the movies at least. For most of us, a weekday Valentine’s Day isn’t much different to any other day – there are meals to cook, kids to wrangle, homework to get done. So, instead of creating an unreal expectation of a Mum and Dad date that’s probably not going to happen, why not include the whole family in Valentine’s Day? 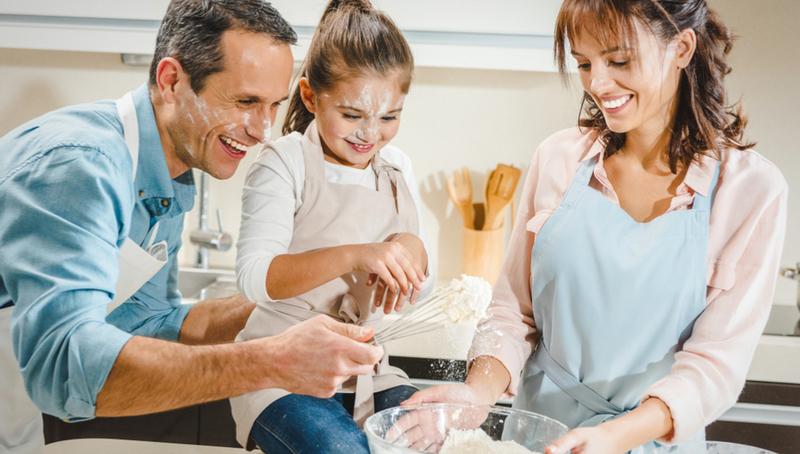 Here are six great ideas for a family-focused celebration. 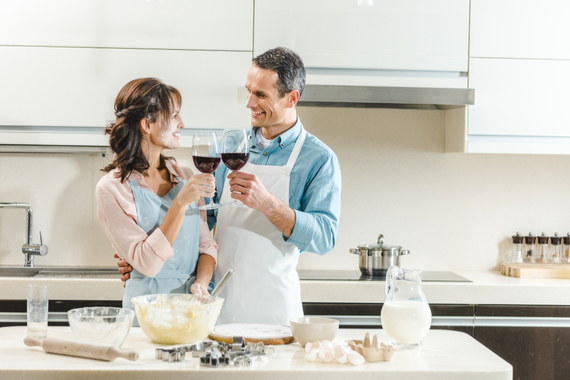 Yes, Valentine’s Day falls on a weeknight this year, but with a little pre-thought, you can plan a romantic dinner for everyone to help create. If you’ve got little ones, enlist them to make simple heart-themed table decorations the weekend before, then help them set a pretty table, with plenty of candles/tealights to set the atmosphere on the night. 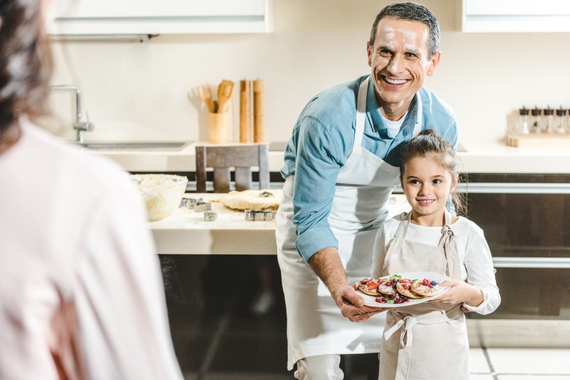 Older kids can help in the kitchen: choose a simple, easy-to-manage afterwork menu. Chocolate-dipped strawberries or a store-bought chocolate cake decorated with strawberries and raspberries make for easy desserts. Turn all the screens off, and get everyone involved in a good old-fashioned games night. Depending on the age of your kids, it could be something as simple as playing cards (remember “Go Fish” and “Snap”?) or a couple of rounds of Pictionary. Go retro with Twister, Scrabble or Monopoly … or bring out their inner performers with a game of charades. If it’s a nice night, what about a game of boules in the backyard? Take the kids on a journey back into your early days as a couple – you’d be surprised how fascinated they might be about your beginnings. Bring out the photo albums, some of the letters/cards you exchanged in your courtship and DVDs/videos of significant moments such as your wedding. Tell them how you met, what it was you liked about each other, and about your life together before they were born. Pretend you’re still a couple of teenagers by holding a dance party – in your living room. Create a great playlist of the songs you rocked out to in your heyday, make everyone wear crazy costumes (kids love nothing more than a great dress-up party), dim the lights and turn up the flashing disco lights (inexpensive and readily available from discount stores) … and boogie like it’s 1985. Re-create those Friday night movie dates with an at-home cinema experience. Choose movies with a love theme but ones the whole family can relate to – everything from Lady and the Tramp and The Princess Bride to Love, Actually. Popcorn is mandatory, as are choc-tops. Teach your kids the importance of community and kindness by visiting someone elderly in your neighbourhood, or maybe an ageing relative in a nursing home. Whip up a batch of heart-shaped chocolate cookies or cupcakes, get the kids to decorate them and then, on Valentine’s night, pop in and share them with someone who may be spending the night alone.